this non-recipe recipe is more of a technique. use the amount of cheese and vegetables you like, (but don't overdo the cheese). 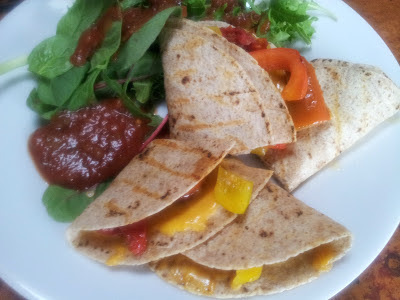 i plan on serving 2 quesadillas per person and i like using whole wheat tortillas because i like the taste with the vegetables. white or corn tortillas can also be used. add a margarita or your favorite beer and lunch or dinner is served! enjoy. 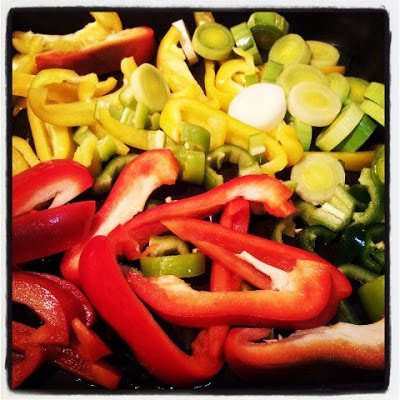 wash and cut vegetables into slices or bite sized pieces. grill either outside on a bbq or inside using a grill pan or panini press. remove from heat and set aside. 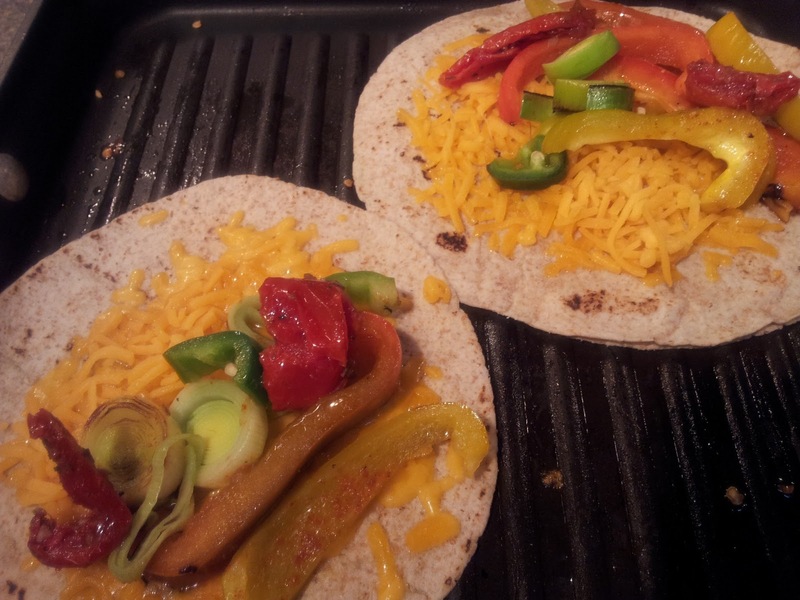 oil the grill or grill pan and place the tortillas on the hot grill. cook for 1-2 minutes or until grill marks show. add a small handful of cheese (about 1/4 cup) and let the cheese melt. add a handful of vegetables and fold tortilla in half. flip over and grill on other side for a minute of so. remove from heat and cut in half. 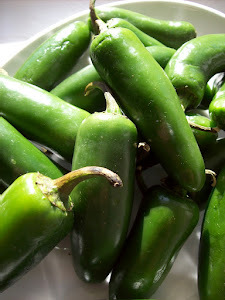 serve with salsa, guacamole, sour cream and greens lightly dressed with olive oil , rice vinegar sea salt and pepper. what a weekend! we saw the legendary bluesman robert bilbo walker at taos mesa brewing on friday night. his show went on till midnight (not bad for a 76 year old man!). then saturday we went on a long hike during the day and attended the first saturday taos art walk at night. i must be getting old because by sunday i was exhausted. and needed comfort food...fast, easy to prepare, healthy comfort food. spicy pasta and greens was my solution. 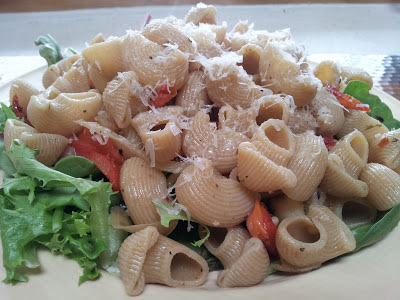 i love pairing hot pasta with raw salad greens. the heat from the pasta just barely wilts the greens, but you still get lots of crunch and do not lose any nutrients. this dish is healthy, nutritious and just plain delicious. what could be better than that? i used chiocciole pasta because the shape and texture works really well here. 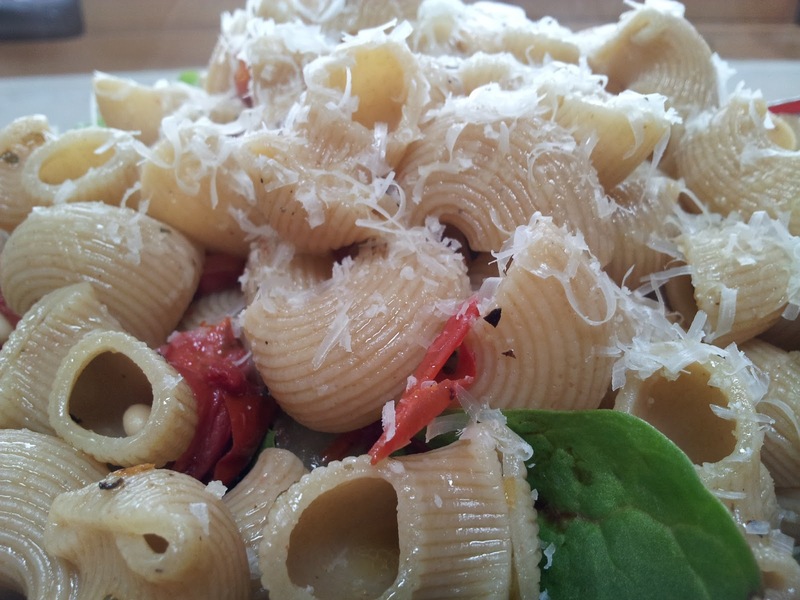 chiocciole means snail in italian and that is what this pasta sort of looks like. (kinda like large elbow macaroni with ridges). 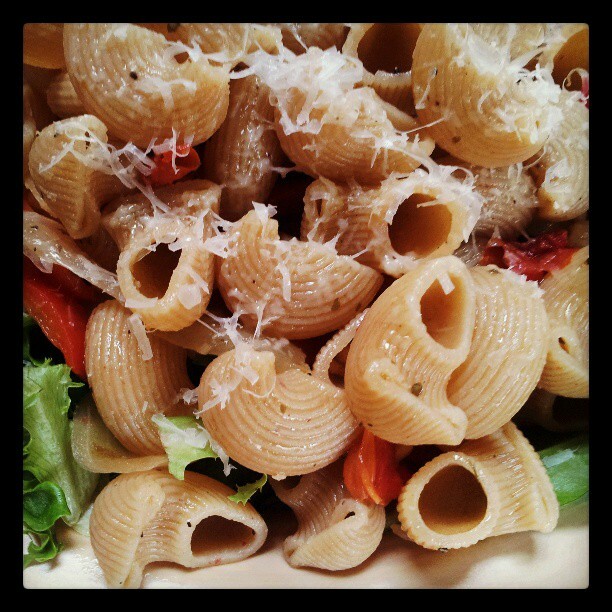 if you cannot find chiocciole you can substitute penne rigate. please ensure you cook al dente (to the tooth)...overcooking will ruin this dish. i toasted pine nuts in olive oil and then raided my local organic market's olive bar to save time. i bought marinated tomatoes, garlic, onion and red bell peppers to add to the nuts. you can also use jarred vegetables or, if you have more time, pickle and marinate your own. a large pinch of dried red pepper flakes adds a touch of heat which pulls everything together. use a combination of whatever greens you like. just ensure you use a minimum of 4 different types and plan for at least 2 cups of raw greens per person. (use more if desired). so there you have it, a warm spring salad with greens and pasta that comes together in 10 minutes. comfort food at its best! cook pasta in boiling water according to package directions. while pasta is cooking, combine 2 tbsp olive oil and 1 tbsp vegetable spread in large skillet. and pine nuts and saute over medium high heat for 3-4 minutes or until nuts are caramel brown. add tomatoes, garlic, bell peppers, onion, red pepper flakes, and a pinch each sea salt and pepper. cook an additional few minutes until vegetables are warm. remove pasta from water with chinese skimmer/strainer. here is a trick...do not shake all the water off the pasta. the water will help thicken the sauce. add the chiocciole to the vegetables/nuts and stir to combine. meanwhile, add 2-3 large handfuls of greens to each dinner plate. dress the greens with a drizzle each of olive oil and balsamic vinegar. season with salt and pepper. mound a serving portion of pasta on top of the greens. drizzle with extra virgin olive oil and a sprinkling of cheese. pass additional cheese at the table.